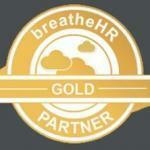 Free HR Health Check - Find out if your policies are up to scratch. Are your policies up to scratch? Hiring – Job descriptions, person specifications, application processes, selection processes and appointments. New employees – Inductions, probation reviews, contracts, policies and procedures and HR admin. Working time – holidays, on call, travel time, working patterns, flexible working. Absence management – lateness, absence, special leave, family friendly. Remuneration and benefits – sick pay, reward systems, pay and grading, bonus schemes. Training and development – Appraisals and record keeping. Employee relations – Performance, grievances, disciplinary, collective agreements. Terminations – Resignations, dismissals and exit strategy.